A number of recent clients include Hillcrest Homes, Crosby Homes, Thomas Jones & Sons, Seddon Homes, P.J. Livesey, Clarke Homes, Branley Homes and McCarthy & Stone just to name a few. At any given time all available schemes are displayed on this page with a number of future developments also in the pipeline. Whether you’re curious about the whole process or have already made a start, we can really get things moving for you. At JP & Brimelow, we understand the unique nature of the surrounding area and the many attractions it has to offer. We have the enthusiasm and determination to actively market your property to the most likely occupier, irrespective of market conditions. We move with the times, constantly keeping abreast of new technology, whilst remaining approachable with a strong commitment to customer service. Upon instruction, we will immediately contact our extensive client base to match the right buyer for your home. 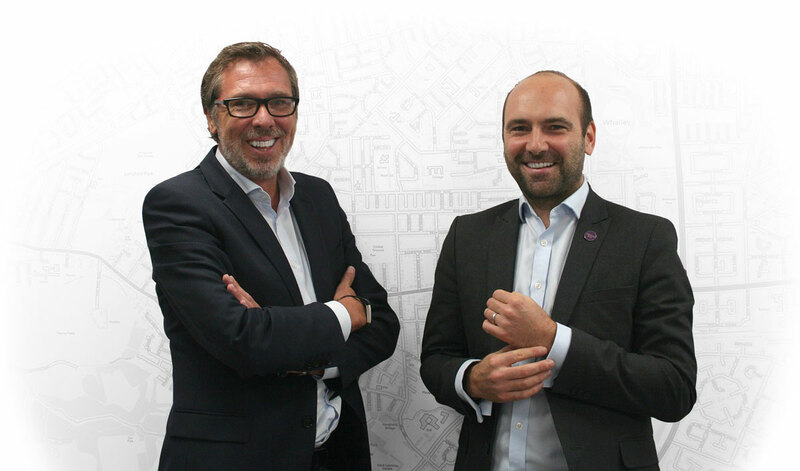 JP & Brimelow estate agents in Chorlton & Didsbury has been selected by a leading national network which will help it to continue to develop its expertise in the booming land and new homes sector. The Land and New Homes Network (LNHN) spans the UK and brings the most professional, forward thinking and trusted non competing estate agents together to offer developers, property investors and home buyers an unparalleled service based on knowledge, experience and integrity. JP & Brimelow is now in strong position to provide land and development consultancy to clients and a specialised new homes sales service. If you own land or a property that you think might have development potential please call Eddie on 0161 882 2233 for a confidential conversation. **VIDEO TOUR AVAILABLE**A truly impressive & well presented, brand new development of two bedroomed apartments within this attractive bay fronted detached property, situated in a residential area of Chorlton on a highly popular road on the borders of Chorlton and Whalley Range. **THIS DEVELOPMENT IS HELP TO BUY REGISTERED** Within strolling distance to the centre of Chorlton with all its independent shops/local amenities, parks and the Metrolink on Ryebank Road, Firswood or Wilbraham Road in Chorlton giving direct access into the City Centre/Media city. Apartment 1 is a spacious and well-proportioned TWO DOUBLE BEDROOMED ground floor apartment to the front of the development. The well-planned accommodation comprises; communal entrance hallway, a private entrance hallway, open plan lounge/dining/kitchen with a fully fitted contemporary kitchen, two double bedrooms, one benefits from a three-piece ensuite shower room and a beautiful three-piece white contemporary bathroom suite. The property benefits from gas fired central heating warmed by a combi boiler, double glazed windows throughout and an attractive landscaped communal lawned garden to the rear with secure gated allocated parking. OFFERED WITH NO VENDOR CHAIN.